The bread bug bit again last night. Five loaves by the end of the evening, because I’m crazy. This post is about one of them. I didn’t want all of this month’s recipes to be sweet, but couldn’t decide what to do for savory. I really didn’t want to have to go to the store to buy any special ingredients. And then I realize, we have beer. LOTS of beer. No, we don’t live in a frat house. We overbought for our wedding a few months ago, and even after giving a few cases away, we’re still working our way through the leftovers. Sad but true. 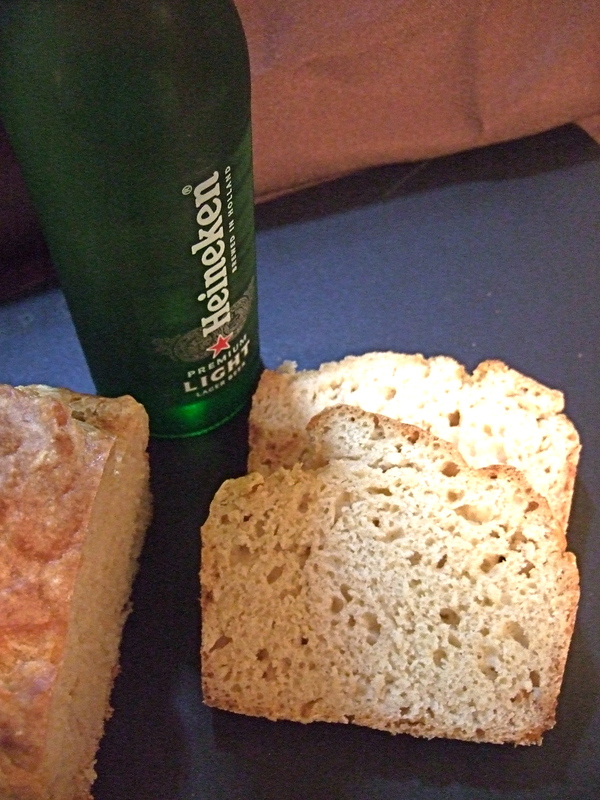 Mrslovey remembered that her mom used to make beer bread from scratch. I’ve never done it before, but how hard can it be? After digging out the recipe card and looking it over, I’m amazed at how simple it is. Really, really simple. 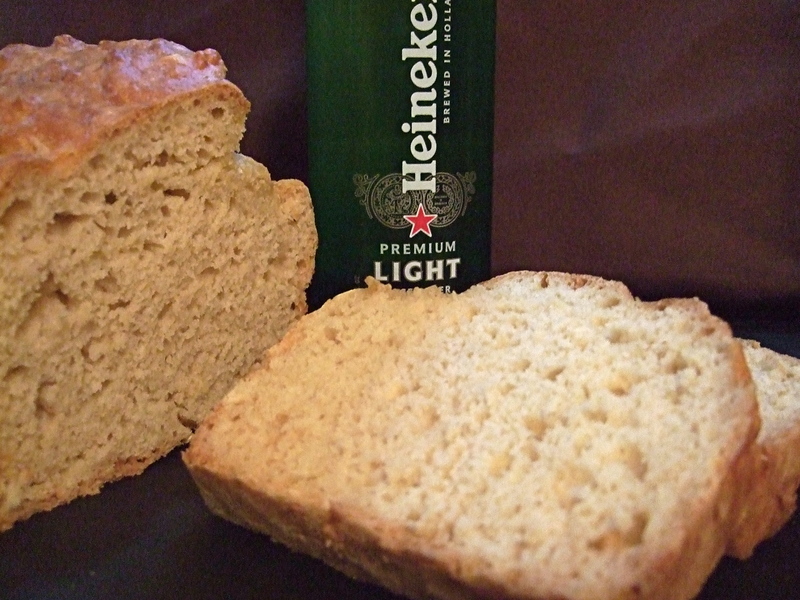 I know that lots of people swear by the beer bread mixes that you can buy at home food parties, but this recipe knocks the socks off of those. It’s a beautiful golden brown color, fresh, tangy, and lacks the processed flavor of the boxed mixes. And the best part? You pay up to ten dollars (not including the beer you still have to add!) for the mixes. Mrsloveymom’s recipe costs less than two dollars to make, beer-inclusive. Who can argue with that?? Read the rest of this entry ?